One of the best parts of living — and in my case, growing up — during the end portion of the Cold War was getting to experience all of the related entertainment media that came out at that time. The spy fever took a long while to cool off, and even in the years following the collapse of the Berlin Wall, anyone remotely interested in knowing some of the things that could’ve been happening behind the thick veil of mystery that surrounded that particular point in history were treated to some of the most entertaining stories ever. Some, in the form of books, some of them, my favorites (at the time, anyway) written by Tom Clancy, as well as the slew of movies that dove head first into that theme, like the James Bond franchise and even the hilarious spoofs in the form of The Pink Panther, Dr. Strangelove and the like. 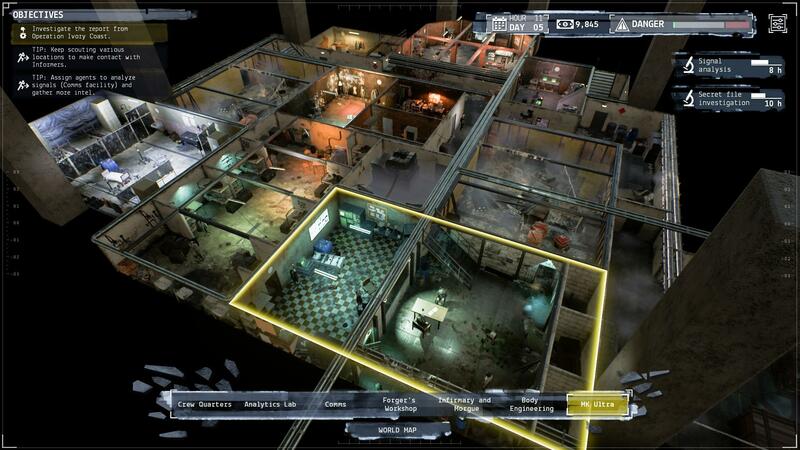 Funnily enough, videogames took their time approaching that subject matter, and even though the spy game is no stranger to the format, I can’t really recall having a really deep strategy game that approached behind the scenes of the Cold War in the way Polish studio CreativeForge Games’ Phantom Doctrine does. Its gameplay borrows from Fireaxis’ XCOM: Enemy Unknown, but outside of the combat portions and squad management that at surface level seem to mimic that game a little too closely, Phantom Doctrine mixes things up in some very interesting ways, with admittedly mixed results. As an agent part of either the CIA or the KGB at the highest point of the Cold War in the 1980s — you get to pick from two distinct story paths at the outset, with a third one that is unlocked later on — you slowly get sucked into the conspiracy that surrounds the disappearance of a nuclear submarine, which to all accounts is tied to a shadowy organization known as Beholder. In true spy fiction manner from that point in time, there’s a lot to Phantom Doctrine that plays with the paranoia that reigned supreme during the Cold War, like double or even triple agents that play all sides against one another and the brainwashing of people into suddenly activating as sleeper cells at the mere mention of a code word. Nothing is too weird or cooky in this world, and once you accept that fact, you’ll be good to go. There’s a lot to absorb when first getting into this game, so I wouldn’t be surprised to see folks dismissing it for being too difficult, unfriendly or even just plain bad, and in some regards, it could’ve done with a little more polish and a smoother difficulty ramp. But outside of the initial clunkiness and the forced disassociation that comes with having to break away from the comfort zone that you may also find yourself in if you’ve played as much XCOM as I have, getting into Phantom Doctrine isn’t as hard as it made appear at first. After the initial tutorial goes through the very basics of both the tactical view and the combat controls (which I highly recommend NOT skipping, so don’t uncheck that box at the beginning of the campaign), you’re given free reign to send agents to any point on your base’s map. The gist is that outside of the main missions that ultimately move the story along, you’re also required to attend to other events, such as monitoring cities for any suspicious activity, spy on known enemy cells in order to obtain new tidbits of data, steal technology in order to develop new gadgets, as well as partake in side action missions that pop up from time to time. Not all is black and white, though. Different blips on the map can and will eventually evolve depending on the time it takes you to send your agents in, such as a run-of-the-mill surveillance op turning into an assassination if you take too long to act, or even a simple retrieval turning sour, forcing you to pop in yourself and get your guys and gals out of the fire, or as is the case sometimes, outright fail, locking you out of potential rewards. 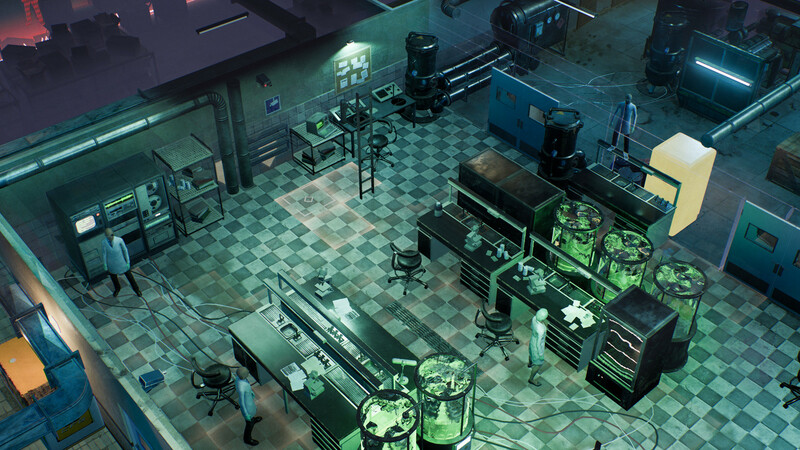 When push comes to shove and you’re thrust into action, Phantom Doctrine should feel instantly familiar to anyone who’s played modern XCOM. Maps are split into grids and range in size and verticality. Your agents’ movement is also tied to how many action points they have, although the distance that they can cover, even when running, if much shorter than in that game. When it comes to attacking, gone are XCOM’s dice rolls that dictated whether or not a shot would meet its target. 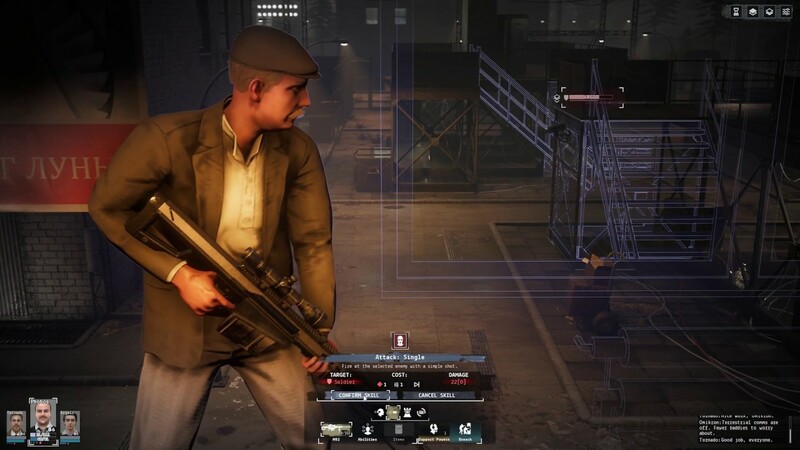 In Phantom Doctrine, all attacks have 100% chance to hit and their potential damage is tied to each character’s awareness value. Since missions in the game usually start out as infiltrations, the opposing forces are more often than not unaware of your presence, and thus more susceptible to taking the full brunt of attacks. On the opposite side of things, if you stir the hornets’ nest, their awareness can help them only get grazed by bullets, diminishing damage, or even dodge your shots entirely, saving them from death. The same goes for your squad, and there are even some abilities that can trigger a higher state of awareness at the cost of action points if you manage to play your cards right. I touched upon how missions tend to start out as infiltrations, and that’s the big thing going for Phantom Doctrine, especially so due to its subject matter. 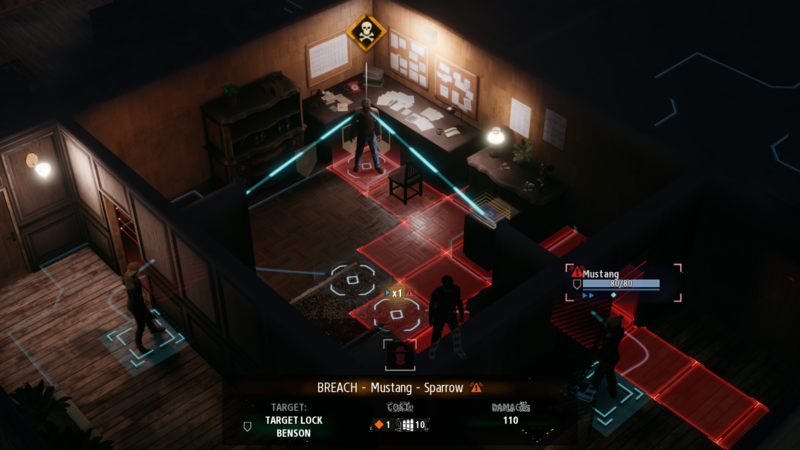 At the outset, I was hesitant and a little annoyed at how it deals with cover and the enemy’s line of sight, which isn’t made very clear at all throughout the game, but after a few bumps, bruises, and most importantly, quicksaves and quickloads, I started picking up on the granularities that set Phantom Doctrine apart from being merely a janky XCOM wannabe. Still, the entire game would benefit from a few coats of polish, especially when it comes to the range of actions you can partake and their ramifications when it comes to some of the more chaotic prone portions of the campaign. Be it having to deal with numerous crisis taking place in the map and not getting a clear notion of how to deal with them other that small bars going from blue to red and then adding to a ‘danger’ meter that forces you to relocate your base when it’s full, or even just knowing when you’re visible during missions, before putting your agents in danger, there’s a layer of clumsiness and awkwardness that you have to overlook and get over in order to have a chance at enjoying Phantom Doctrine. Issues aside, the underlying core experience is pretty brilliant. I’m still playing through the KGB campaign and I’m having a lot of fun getting to discover all the ways the devs have managed to cram the crazy theories from that point in time into the game. I have just finished a mission where one of my guys was able to activate a guard and have him temporarily join my forces in a firefight all Manchurian Candidate like, or the other time when I decided to instead of taking out an enemy agent, carry her out of her hideout unconscious without raising an alarm or killing any guards, only for her to go all psycho and capture one of my guys when she got to my base. Then there was the time when an hour-long mission turned bad and I was forced to leave an agent behind, only to have her miraculously come back, but with a bad case of PTSD, which came into play later on, as she demanded we listen to the voices inside her head and have us rescue her captured allies somewhere in Afghanistan. I simply can’t wait to see what else is in store as the story progresses. Speaking of story, the way that Phantom Doctrine delivers it is very neat outside of actual exposition through cutscenes and dialogue. The bits of it I’ve been able to piece together on my own were done in a board much akin to investigation panels you might be used to seeing in TV shows and movies where someone is investigating a conspiracy, connecting pins that hold newspaper clippings, photos and intel docs together with string. In the game’s case, you’re trying to find code words in these documents in order to come up with say, an enemy cell’s identity, or the location of whatever you’re hitting next, based on files you find as you deploy your forces across the world. Once enough items are linked, you’re given a new task and that moves the story along the next beat, and so forth. It would’ve been easy to dismiss Phantom Doctrine as a mere rip-off dressed as a spy thriller, and although it doesn’t help matters by being so clunky to play at times and a pain to listen to during missions — seriously, some of the voice acting is atrocious and incredibly repetitive — the atmosphere provided by the moody soundtrack and the fiction surrounding everything that you do more than makes up for that. I’m certainly invested and I plan to come back to this as my writing backlog starts to dwindle. In that meantime, I hope that CreativeForge Games can come back to Phantom Doctrine and tweak it further in order to help things go smoother in the long run.